Clear waters, soft sand and lots of fun. Aeginitissa beach, a charming sandy cove of Aegina Island is exactly what the perfect beach should be; shallow azure waters, glistening white sand, eucalyptus trees that reach the wave crest and an incomparable ambiance of utter relaxation. 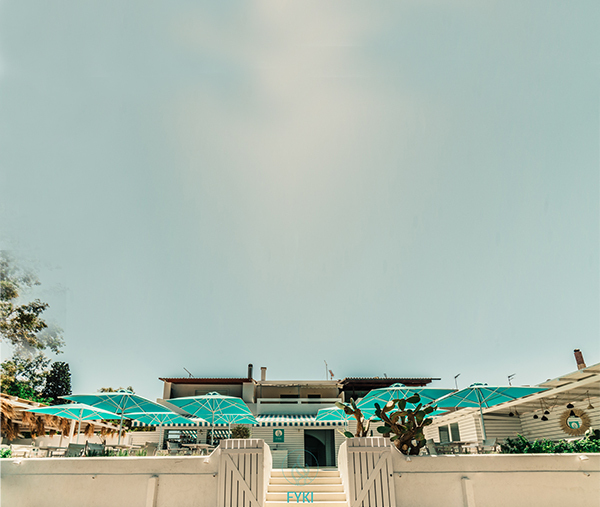 Modern sun loungers, soothing rhythms and exquisite beachside services by Fyki Beach Restaurant make Aeginitissa the place to be! 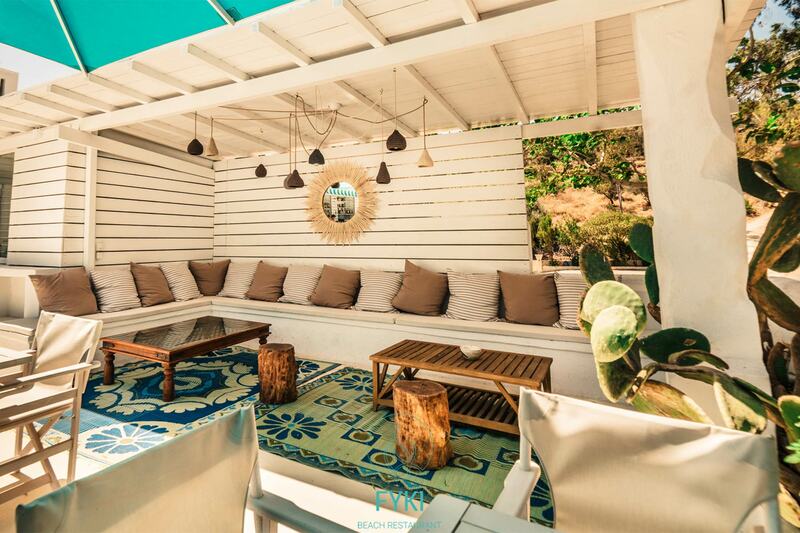 If you haven’t already heard of the famous Fistiki Boutique in the center of Aegina Town, then this is the perfect chance to introduce yourself to inimitable style! A well-chosen handpicked selection of fashion items and beach essentials from around the world that add stylish zing to all your beach looks, alongside exceptional décor pieces for your home! Say hello to style! Aeginitissa is one of the prettiest, most idyllic beaches on the island of Aegina. This white sand beach is a favorite among locals and visitors alike for its welcoming ambiance, the shallow azure waters and the inviting shadows of the eucalyptus trees that transform the beach into a refreshing summer refuge. We couldn’t have picked a better spot for our dreamy seaside meeting point. A charming spot like Aeginitissa Beach with its spirited vibe could only inspire us to throw as many parties as our hearts desire! We love to celebrate the spectacular sunsets and the enchanting carefreeness of the Greek summer, but we don’t miss out on a good party at any chance we get! Stay tuned for all our upcoming parties, concerts and events for endless beachside fun!